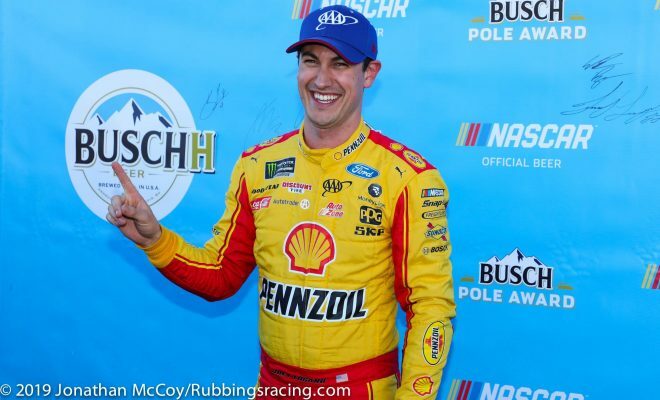 MARTINSVILLE, Va — Joey Logano was once again the fastest man on the paperclip. He’ll start the STP 500 from the pole position Sunday afternoon. It’s his fifth pole at the raceway in the past five years. Aric Almirola will start the 500 lap race from the outside of the front row, after being second quickest in qualifying. He bested his averaged starting position by 17.4 spots. Logano’s teammate, Brad Keselowski will start third, directly behind him in the second row. Last time NASCAR was here Logano pushed Martin Truex Jr. on his way out of the final corner to win the race, but Keselowski says that’s not the kind of moment he dreams about. Keselowski arcs his No. 2 Ford Mustang into turn-three during Busch Pole Qualifying. Photo by Jonathan McCoy. 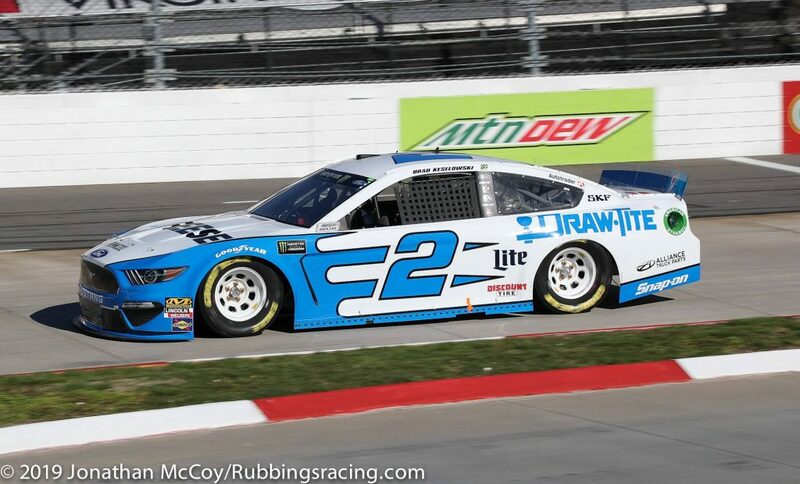 Regarding the new, higher downforce, aero-package, Keselowski said, “the cars a little bit faster” and easier to drive here, at Martinsville Speedway. 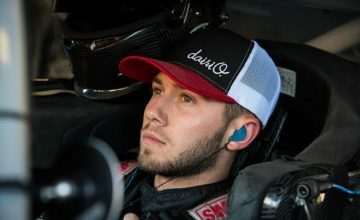 Rookie driver, Daniel Hemric is racing at Martinsville Speedway for the first time in his Monster Energy NASCAR Cup career. While veteran drivers will have to adjust to this new aero-package he’ll be busy learning what a cup car can do on NASCAR’s oldest venue. “I never got to physically run the other package here, so it’s hard for me to elaborate a whole lot,” said Hemric. Out of five races so far this year, Hemric has gone to the final round of qualifying twice. 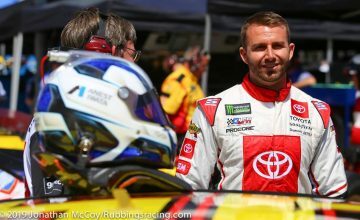 His team, Richard Childress Racing, has been among the most improved thus far in 2019; so to see both him and his teammate, Austin Dillon, not make it out of the third round is a bit of a shock. 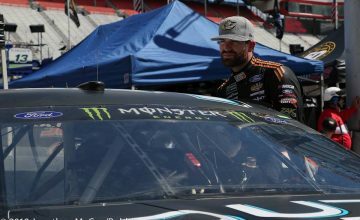 Ricky Stenhouse Jr. was the first driver to be caught speeding under NASCAR’s new effort to enforce the pit road speed limit during qualifying. He sped on pit road after he set a qualifying time in round one; NASCAR disqualified his lap time, forcing him to make a second attempt. Right at the buzzer Stenhouse went 25 fastest, one spot short of advancing to round two. “I always thought about the speed limit leaving pit road,” said Stenhouse. “I didn’t really think about it coming in. I didn’t really know what the rule was. Hamlin was the fastest in round one and two but will start fifth on Sunday. He hasn’t won here in five years, but Hamlin is always considered a favorite to take home Martinsville Speedway’s coveted grand father clock trophy.